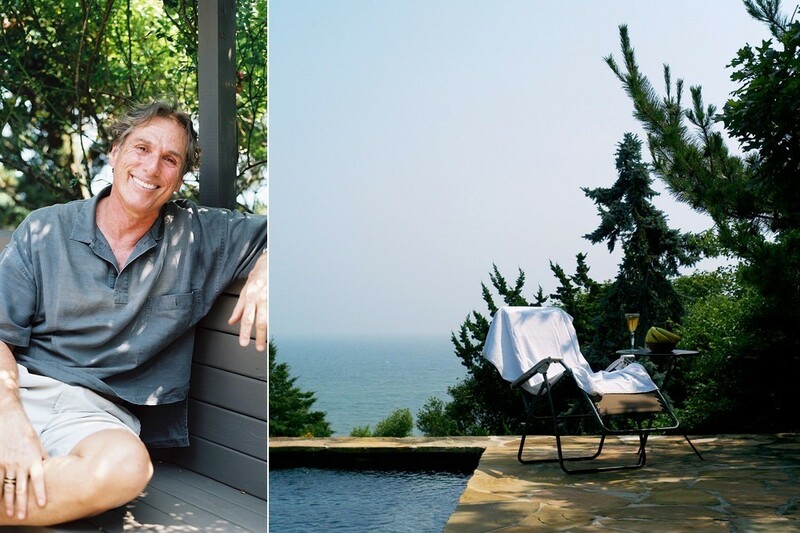 Designer Vicente Wolf reclines at home in Montauk, New York. Wolf's Montauk hideaway is filled with mementos gathered during a lifetime of travel, from the jungles of Borneo to the flea markets of Paris. There's a house on the coast of Montauk, New York, that's capable of transporting guests to exotic locales—like Bali, Namibia, and even Madagascar. 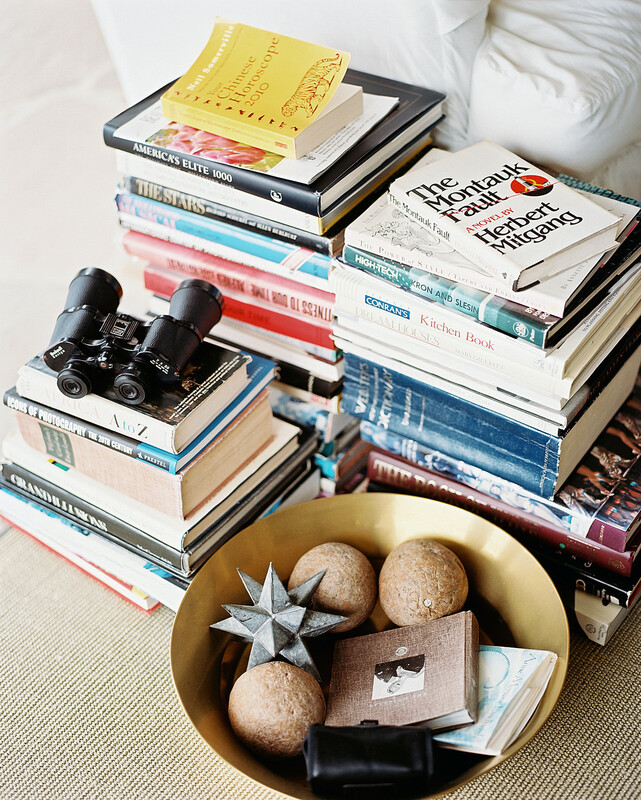 It's filled with treasured mementos gathered by famed globe-trotting designer Vicente Wolf. 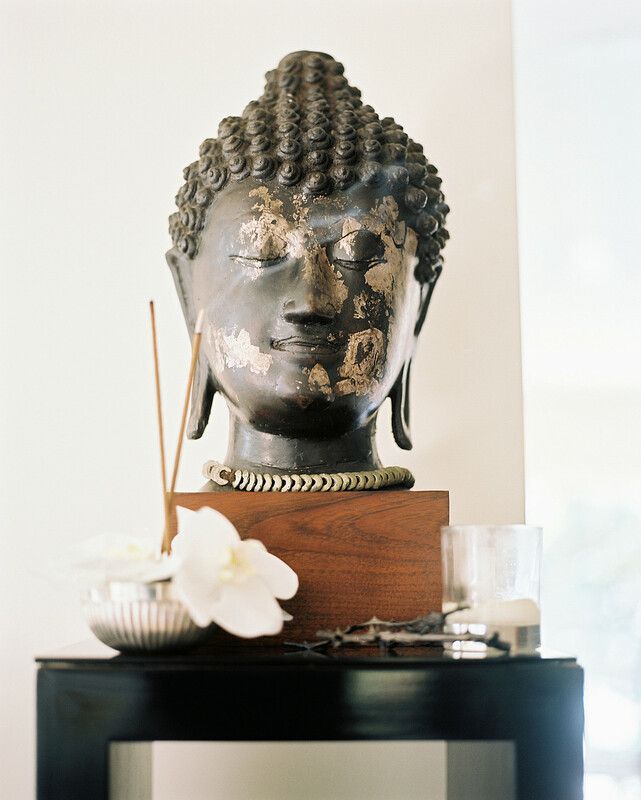 In the entryway, a Cambodian sculpture greets visitors; in the dining room, a Buddha head. Click here to read this story in our August/September 2010 issue. Born in Cuba, Wolf moved to New York in 1964, where he worked a variety of jobs in merchandising, advertising, and theater. But a lifelong struggle with dyslexia frustrated his career advancement. Then, one fateful day, a friend introduced Wolf to interior design. "It's a field about visualization, not words," he says, "so it immediately clicked." Today, Wolf is one of the most admired figures in his industry. The designer of choice for discerning clientele, he's tackled such renowned projects as 15 Union Square West in New York City and the SW Steakhouse at the Wynn Las Vegas. He's the founder both of Vicente Wolf Associates and Vicente Wolf Home, a showroom stocked with pieces Wolf has collected during international travels alongside those he's designed himself. "If there's a bathing suit or someone running into the water, I buy it," says Wolf of his photography collection. Wolf describes his home as, "conventional, comforting and relaxing." Besides offering him opportunities to expand his collections, Wolf's travels have influenced his sensibility. "I bring these [travel] experiences inside," he says, "whether by using the colors of the Savannas in Africa or the fabrics worn by the Masai Tribe in Kenya." 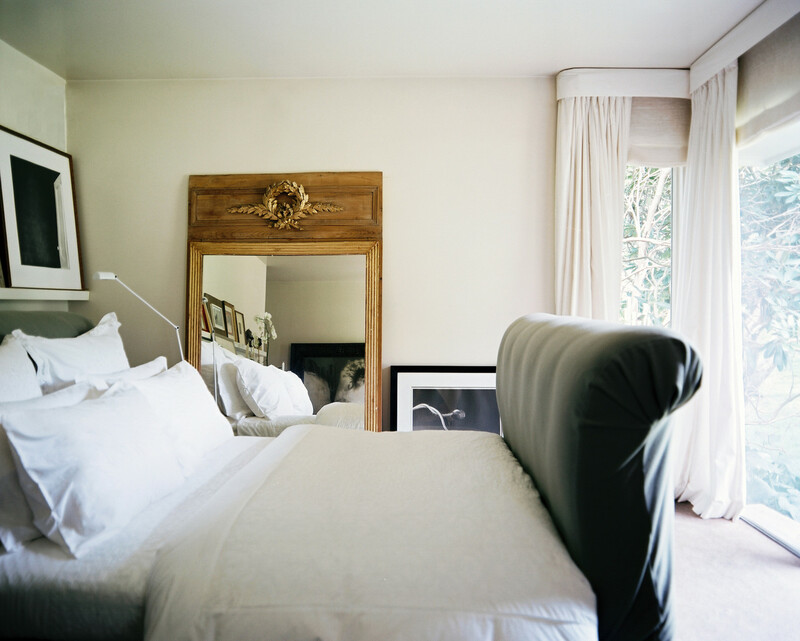 Wolf is also an esteemed photographer whose work has appeared in shows around the country. "The more [art forms] you learn, the more choices you have in the creative process," he says. Having already published two design books (that he photographed himself), Wolf's third, Lifting the Curtain on Design, offers insights he's gained from various interior design projects, as well as diaries of his recent travels, and essays on the simplification of design methods. "My books help readers understand how they can alter their homes through the creative process," he says. "I want to offer ideas to help open their eyes. My spaces have a sense of casualness...an unpretentious quality, and a user-friendly approach. Wolf designed this sleigh bed to resemble a gondola. 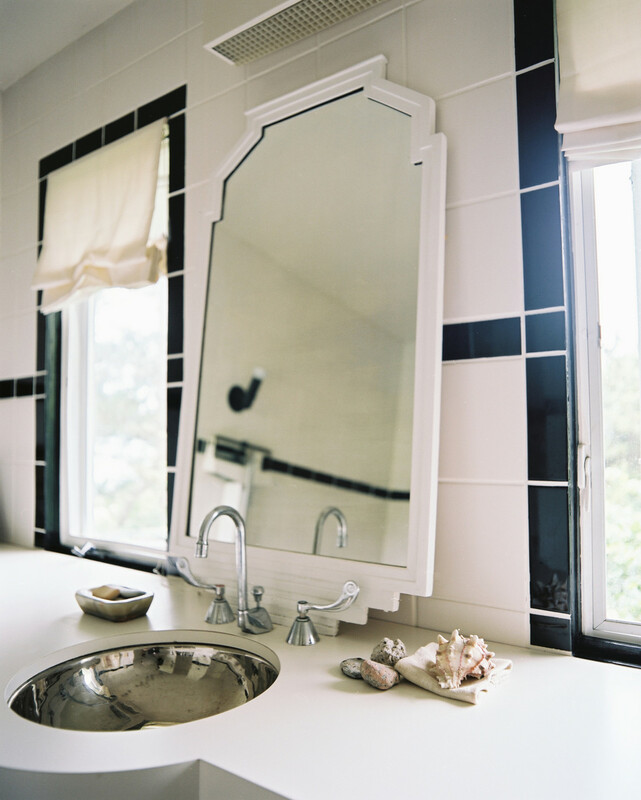 Wolf chose a color scheme inspired by Montauk's natural palette for his home. "You can see the color of the sand, the tones of the ocean, the color of the trees," he says. 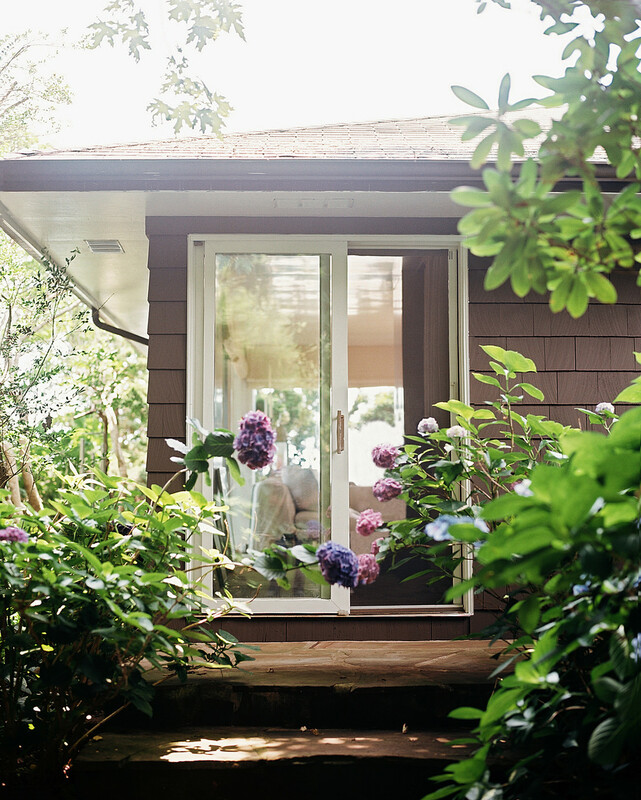 "It creates a seamless transition from nature to home." 1. 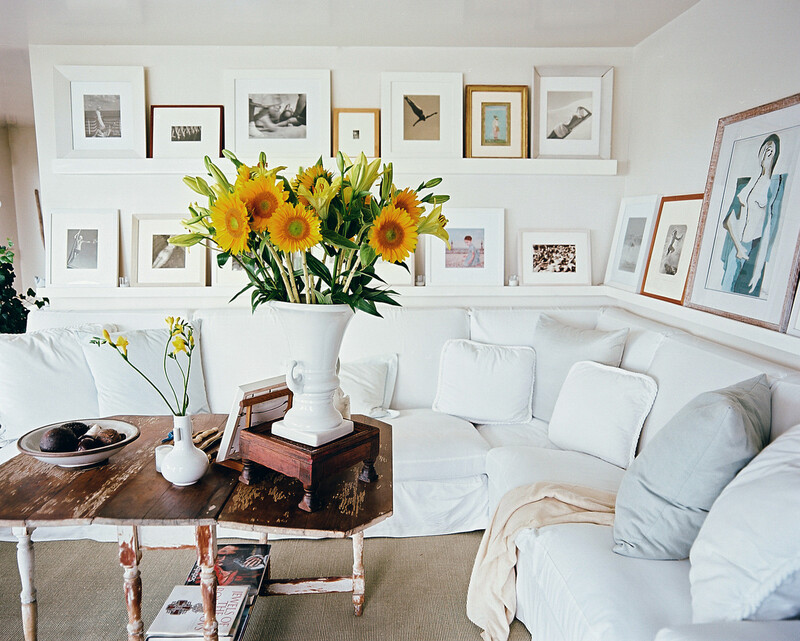 "While shopping, I always refer back to the colors and styles I have in my house. It's easy to see objects in their indigenous surroundings and [wrongly] think they'll work at home. It's important to think about what will integrate agreeably." 2. "I always go to the local museums before meeting with any dealers to gather guidelines about the quality of pieces in the area. Likewise, if planning a big purchase, take the time to research it before the big trip." 3. "Most importantly, I go with my gut. It's rarely wrong."